I’m not a fan of dumbbell side-bends. 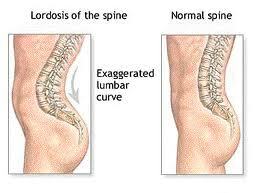 It’s not that they don’t work the external obliques, they do, it’s that they promote mobility at the lumbar spine. You want to train the external obliques to PREVENT movement at the spine. For instance, in the leg raise videos above you can see the lower back significantly arch due to a lack of external oblique activation. Thus, the lumbar spine is too mobile. A side plank is a much better alternative. Hey, great article. very interesting. 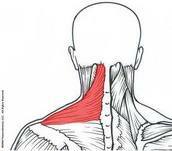 I have a weak upper trapezius on the right side. Would doing normal dumbell shrugs (with a light weight to start)for high reps everyday be a productive method of strenghtening it? I hope so because I can feel the weak upper trap compromising my shoulder stability. Regular dumbbell shrugs actually aren’t a great exercise for the traps. Don’t get me wrong, they do exercise the muscle, but not in the way you want if shoulder health is a concern. You want to primarily perform shrugging movements while the arm is lifting / the arm is overhead. This way you train the upper traps to elevate AND upwardly rotate the scapula. Dumbbell shrugs work on the elevation but not the upward rotation. In fact, the shoulders remain downwardly rotated during the movement. Not ideal. 1) Shoulder dislocates, where you grab a broomstick or something and rotate your arms from infront to behind. 2) Scapular wall slides, where you’re sitting against a wall and push you arms and shoulders back against the wall. Forearms are always kept vertical. Shoulder dislocations are ok. Could be better; could be worse. Typically people need something involving upward rotation as well. Wall slides can be good, depending on the person. If a person is very tight they are going to be too hard / cause pain. Basically no one does them properly though. I’m going to throw a post up on the proper form of these at some point. They’re just constantly butchered. Very few exercises are “bad.” It really depends on the person and how they do it. It’s rarely “what” you do but it’s always “how” you do it. Great, thanks! I look forward to your wall slides post! I am recovering from a complete rhomboid major reattachment, yet I find myself still struggling in gaining correct scapular rhythm. After a year and a half of unsucessfully seeing doctor after doctor in figuring out what was wrong, I was finally able to have a surgeon correctly diagnose it. My issue is that now I’m trying to undo all of the muscle compensation and firing patterns I’ve built up. I just saw my surgeon and he told me that I needed to do this exact upper trap exercise to lift my shoulder girdle (I looked online and this was pretty much the only place I saw this). Would working my upper trap in upward rotation limit targeting an already tight levator? Would stretching the levator before, limit hitting the levator? I need to find balance between my serratus and UT, but my bursa that is out of whack and a tight levator seem to be limiting this. Any advice would help me out so much! Sorry to hear you’ve had issues getting things sorted out. The wall shrug exercise in this post would be a good way to train the upper trap in proper upward rotation AND concurrently loosen up the levator. It wouldn’t limit loosening the levator; it would hasten loosening up the levator. The levator is a downward rotator of the scapula, So, by training upward rotation you can tighten the upper trap and loosen the levator. This is one reason it’s important to train shrugging with the arms moving overhead, as opposed to your classic dumbbell shrug exercise. When the shoulders are down, there is no upward rotation of the scapula, only elevation, and the levator and upper trap both elevate the scapula. So, in that case, you’d run into issues, but with the arm overhead and proper form (chin placement is crucial here) (it sounds like from your description) you’d be training exactly what you wanted. Rob, also curious if you could tell me how you suffered this injury? I’ve never run into someone with a reattached rhomboid. Man, the more I look through your posts, the more I’m amazed. Definitely wish I found your site much, much earlier! I tore my rhomboid on a normal back day, performing lat pull downs, while using a pro style lat bar…. I lost it on the eccentric and my left arm went completely numb. Nothing extremely traumatic at first, but I definitely felt a “pop” between my scapula and spine, very superficial and subtle. I was in pain for a couple days, but I thought it was just pretty sore. Well, a couple days turned into prolonged pain and unsuccessful visits to orthos… now I’m here almost three years later, and about a year and a half post-op, still trying to get myself back. I just found that t-nation conversation on scapula dyskinesia… dude, your stuff is legit! I can definitely relate and feel as though I’m just spinning my wheels trying to recover. When I saw my surgeon last week, he definitely noted that my bursa was causing trouble, but wanted me to try out these exercises and give it a go before possibly receiving an injection. I’ve read mixed reviews on injections, a lot of them referring them as only a temporary “fix.” Am I crazy for thinking about asking for a scapular bursectomy? Any thoughts on these? Do you think proper posture and scapular training, alone, could bypass these? I apologize for all of the questions… this has just been incredibly debilitating and coming across your site is a much needed breath of fresh air. Glad you like the site; been working hard on it! I think a scapular bursectomy is probably unnecessary, and getting the shoulder to move properly will solve your issues. However, without seeing you move (even videos / pictures) I can’t really say. I have seen some royally fucked up shoulders though, and a bursectomy was never needed. Hey! Your website is wonderful! I have a question about the leg raises. I did the self-test, because I have a lot of low back pain, and I can keep my low back on the ground while I raise and lower my legs if I concentrate, but this weird popping happens. I’ve noticed the popping before, but this is the first movement I found where I can isolate it to try and figure out where exactly it is. The popping is on my right side, it is not painful, and happens as I lower my legs past 35 degrees. It is in the same spot every time: shifted to the center of my right SI joint, and either above or below I can’t really figure out which. It feels like something is shifting, but I can’t figure out what. This same popping happens if I deadlift and squat in the same day, and when I do hanging leg raises as well. Any idea as to what this is from? It’s driving me crazy and freaking me out. Any advice would be appreciated! How long have you been experiencing this popping? Popping typically can stem from various things: Scar tissue breaking up, arthritis, structural changes, tendons moving, etc. The popping can also arise from movement issues, but not be painful. So, say you have someone with a knee movement issue. They may get non-painful popping due to the movement issues making them more likely to have an arthritic, structural, or whatever issue. In many cases get rid of the movement flaw and you get rid of the popping. BUT, you don’t specifically go after movements that cause the popping, you go after the overall movement flaw. Be careful about going after how or what you feel. In many ways this is quite often a road to nowhere. If there is no pain with the popping then I rarely worry about it. Bodily sounds are usually not worth worrying about in this context, as long as they aren’t painful. Although, you mention you’re having issues with your lower back, and you have lower back popping, so I’m not sure this popping is always asymptomatic for you? And then there are other form issues that can arise during the leg raise, even if you feel you’re doing it properly. Finally, squatting and especially deadlifting are rarely (pretty much never) good ideas when you’re having lower back issues. Hello, I just happened to stumble onto a tnation thread with this link and found your information and article very informative. I am wondering if you have any expierence or information in regard to venous thoracic outlet syndrome/pec minor syndrome with deep vein thrombosis. I was an avid body builder but this condition has sidelined me for years. Any information would be great! Thank you and look forward to browsing the site some more! Check out the shoulder and neck pain categories on the site. For issues like thoracic outlet or pec minor syndrome, it’s best to attack what movement issues there are at the shoulder and neck. (FYI, the shoulders being too depressed / downwardly rotated is a primary factor.) Correcting these things will often help correct other issues, like numbness in the hands. The thing is, thoracic outlet or pec minor is a symptom. 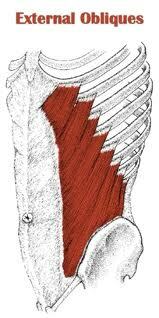 What you need to find is WHY is something like the pec minor being compressed. That why is how the shoulder / neck is moving. Therefore, you correct how the shoulder moves, which corrects the symptoms. 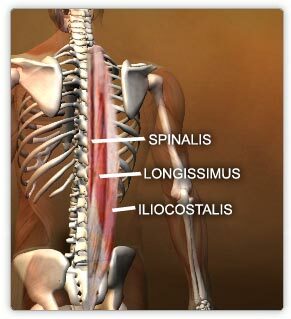 Great post, are there any exercises that focus on thoracic extensors and not lumbar extensors. I have a kyphosis but cannot find an appropriate exercise. Prone extensions only seems to hit my lumbar extensors. Many thanks, I will try them. Hi, are there any other exercises you would recommend for weak upper traps? I have been trying to sort out my shoulders for years and suffer from bad headaches, winging scapula, trigger points in the upper traps, and seemingly tight levators (although maybe they are long? I just read your other article…) The portion of my trapezius that goes up the back of my neck is completely inactive and I can’t get it to do any work. The very upper fibres that seem to go over the very top/front of the shoulder portion and travel right up the back of the neck don’t feel like they do any work but the fibres just over the other side feel sore after I do the overhead shrugs. Might this be a problem with form? I just can’t seem to get this working, any advice would be much appreciated. Starting from a standing position may be a bit too tough for you. Sometimes it’s easier to throw the person on the ground. I’m working on a longer article regarding a progression to lifting your arms overhead. Looking to have it up in a week or so. Might be something you’d find use in. From what I can deduce in your description, it sounds like the rhomboids may be overpowering the upper traps. Hard to say without seeing you though. In general, most people can’t come anywhere near reaching all the way overhead when doing this stuff for the first time. Many will need a month, if not longer, before they can get all the way overhead. It’s common to butcher the hell out of these types of things. I had a friend read this article and say to me, “I tried the arm stuff, and I was surprised I could do it.” I actually trained him about 6 months later; had him do some overhead arm stuff (like in this article), and he could move about 6 inches before his form went to crap. thanks Brian, that’s great. I’ll give those a try and keep an eye out for your article! Brian – Great insights, as with the rest of the site. But I am confused about your last comment on Core work, actually I am confused about Core work altogether! There is a lot of conflicting messages out on the web. I stopped Sit- Up, Crunches are better, I stopped doing Sidebend, Russian twist are better. don’t use the machines, they are bad? or even just do weights ignore the core, it will be exercised as you go along. – really not sure what to do now. How about a “Best Damn Core Work” page or eBook? If you have APT, and can do 3-4 Leg lowers no problem, is it then ok to do crunches and Russian twists but maybe include Leg lowers too? I seem to get a tightness on the lower part outer oblique, after doing 1 Leg Squat, cycling etc. So was considering strengthing it, along with the rest of my core work. And also following the excellent excercusing in your eBook on the ITBand – excellent help so far, my TFL is so much more relaxed after a couple of weeks. any thought would be useful. Thanks for the recommendation. I have something like this in my mind, but haven’t started to put anything together yet. I have another product coming up soon first. The biggest thing with core work is the idea is almost always to get the core to prevent movement, not generate it. The limbs move, the core does not. The “Lower back and hips” not moving is the “core” aspect. Because in order for your lower back to not move, usually the core has to activate. Again though, it’s activating to prevent movement. You’d be surprised how hard you make something like a Bird Dog too. That’s great to hear the IT band book has been helpful for you! keep up the good work. keep spreading the truth. Hi, I have a winged scapular and have been seeing the physio for a while now and the strengthening exercises I was provided unfortunately aren’t doing the trick. I was playing basketball three times a week and have tried to play and simply don’t have any strength though the scapula for any pushing motion for example when shooting a fouls shot I can’t make the ring and I still have some pain. Any advice you can provide would be greatly appreciated so that I can get back on the court.